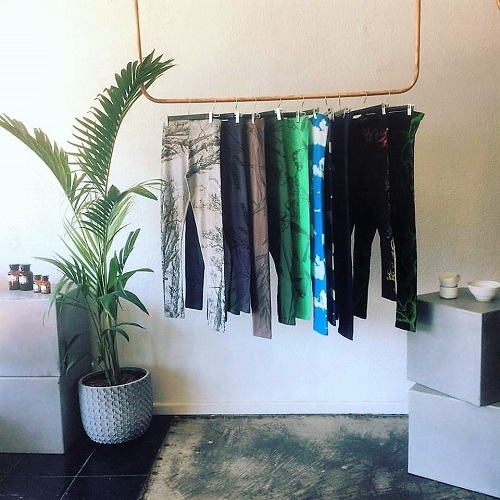 After many years perfecting her art as a screen printer and a good few years of printmaking at RMIT and SCU, the search for printed leggings that were both beautiful and well made was over when Katy Robinson left her job and started making leggings herself. In a studio somewhere in Melbourne, Captain Robbo and her Adventure Pants were born. After 4 years on the road Adventure Pants are well known for their comfort, durability and original style. Adventure Pants are hand printed by the Captain with locally sourced natural fabrics and inks using sustainable work practices that make Adventure Pants as ethical as they are hot. Nail it looks-wise by day, sleep with peace of mind by night. Captain’s orders.